The well-established, modular ATLAS program system is a software concept, based on more than 30 years of engineering experience and a cost-effective modular structure to return the best results for the customer. We offer Software in the fields of Thermal pRocess Engineering, Pressure Vessel Design and Piping and we are not cagey about our price list. For download we have made up packages for you. Special software for customers’ specific use can be built economically by using modular technology or we make contact to one of our partners who might be able to deliver the required software. 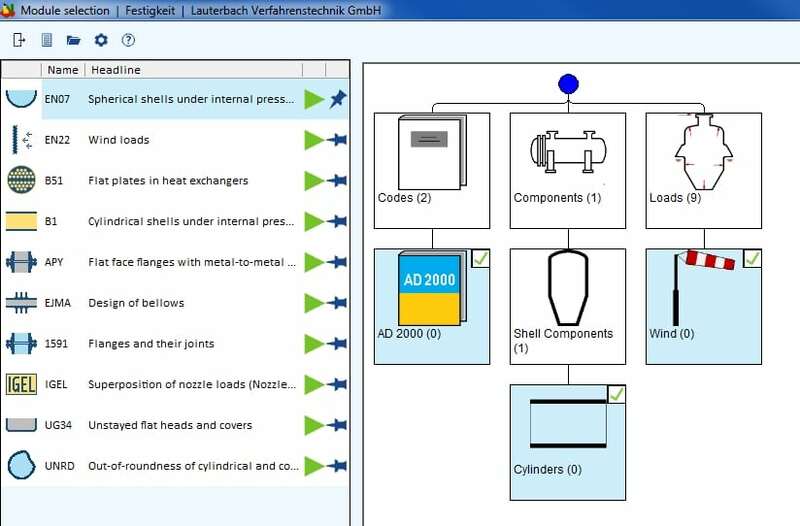 We are authorized reseller of Design II a sophisticated stand alone flow sheet and process simulation program. Interfaces to non-LV-software like for example MS-Office, CAD-Software and WinSim (Simulation Software Design II) bring many additional possibilities.